Get baking and make sure it’s all green! The green isle is known for its vast greenery and the shamrock. Why not bake some cupcakes in green cupcake holders and decorate Irish style! You could use green glitter on top of creamy frosting, or make Shamrocks from royal icing. If you want to go big, a large sponge cake decorated with another cake on top in the shape of a Leprechaun. Either option, display on a lovely cake stand and it will be the centre of the party. A party for St Patricks Day has to be green so accessorise your party table with all things green to match the Emerald Isle. From green glasses and jugs to plates and napkins, go big with green. Why not even dress the table with greenery inspired by nature. Bring some of your garden inside. Vases with green foliage such as Pittosporum and Ivy would look great as a centrepiece and will bring the outside into the party. 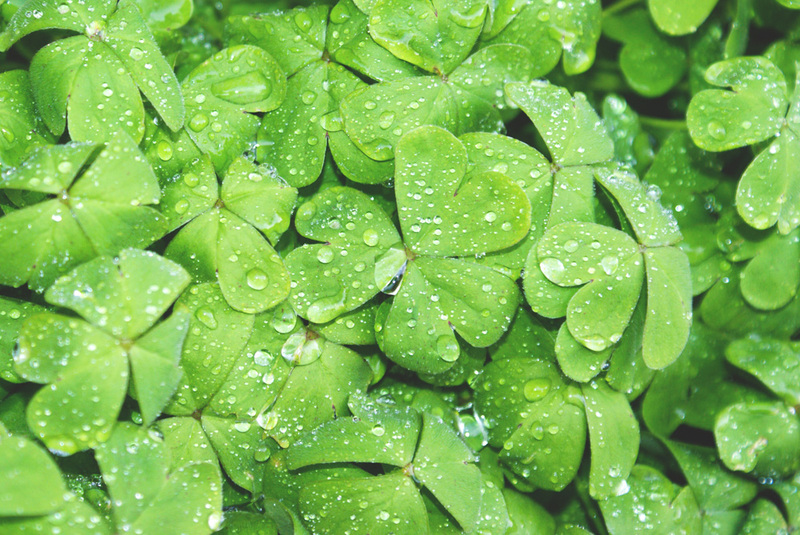 Each leaf on a shamrock stands for faith, hope and love. If you find one with four leaves that’s luck. Grab yourself some green cardboard and a four leaf clover stencil. Draw around the stencil and cut out lots of four-leaf clovers. They can be used to sprinkle over the party table or made into a garland with some string to hang up. You can use different colour greens and various sizes for a lovely display. Why not add some glitter for a touch of sparkle? The more the better, the luckier you will be! Leprechaun hats, green glasses, ginger beards, green jackets and Guinness is what it’s all about. So embrace the clothes as well. St. Patrick’s Day is always a really good fun celebration, full of cheer and plenty of food and drink, so enjoy with family and friends and have a good time. For your piece of greenery to celebrate St Patricks Day, come in store to visit us and see what you can find!